Thank you to Visit Mesa for hosting me on a recent trip to explore Mesa, AZ! I’m rounding out my recaps from my recent Arizona trip with one last post featuring Mesa, Arizona! (Scroll down for links to my other Arizona blog posts.) When I travel, I love to explore new cities through their local food and drinks. And that’s exactly what I did in Mesa! 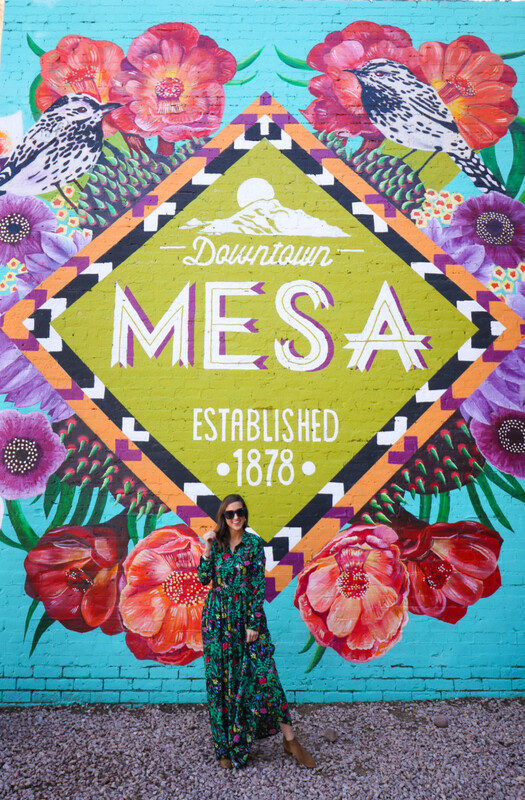 I’m sharing 6 fun things to do in Mesa, Arizona. 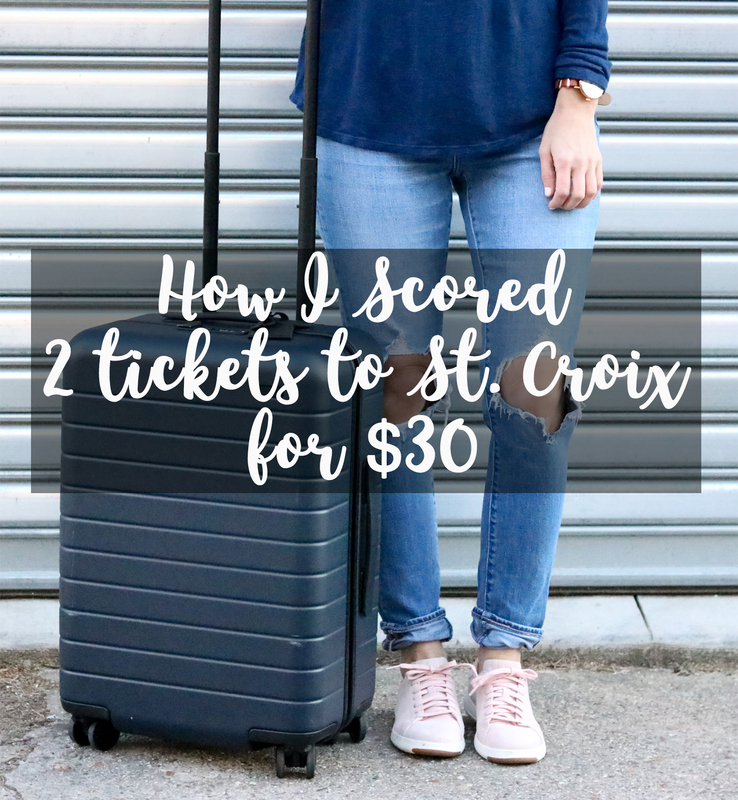 Keep reading to start planning your trip! I was able to visit a few of the spots during my quick trip. Keep reading for details on a few of them below! One must stop spot is Jalapeño Bucks. Put it on your list for lunch one day! Jalapeño Bucks was born out of B&B Citrus Farms, which is one of Mesa’s original orange groves that dates back to 1915. It’s a BBQ-meets-Southwest roadside diner with lots of outdoor seating. I had the pulled pork, but the real show stopper is the peanut butter and jelly brisket sandwich! Get one for the table to share! I recommend visiting downtown Mesa on a Saturday when there’s nice weather. Every Saturday, weather permitting, from 8AM – 1PM there’s the Mesa Farmer’s Market & Flea. There are lots of fresh produce and fresh baked good vendors at the market along with local makers of crafts such as beautiful handcrafted vases, Christmas ornaments, clothing, you name it! After visiting the market, I recommend walking around downtown to pop into one of many local coffee shops and wander around to checkout the murals around downtown. 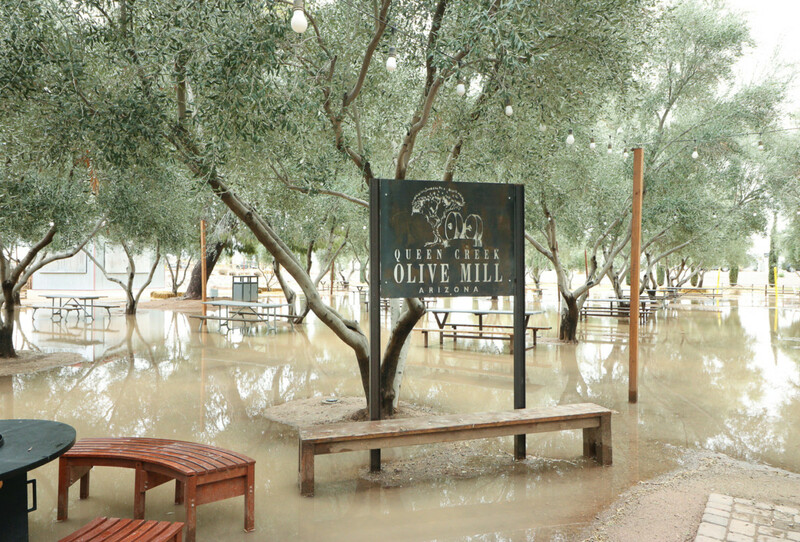 Queen Creek Olive Mill is a great way to learn a little bit about the olive oil making process, take a quick tour of the (usually) beautiful property, and enjoy a delicious lunch either inside or on the sprawling grove grounds. 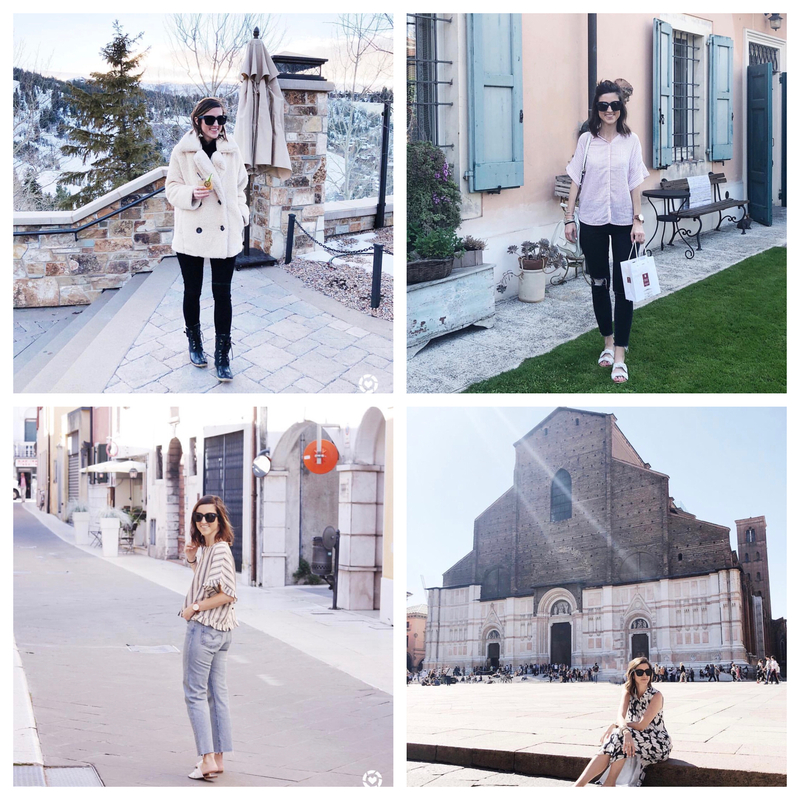 As you can see from my photos, the weather didn’t cooperate during my trip. I opted into the full tour at Queen Creek Olive Mill. It was really interesting to learn about the family-owned olive groves and how they got into the olive oil business. The tour ended with a quick olive oil tasting. Afterwards, I enjoyed a delicious lunch at their on-site restaurants/market. The food was DIVINE! 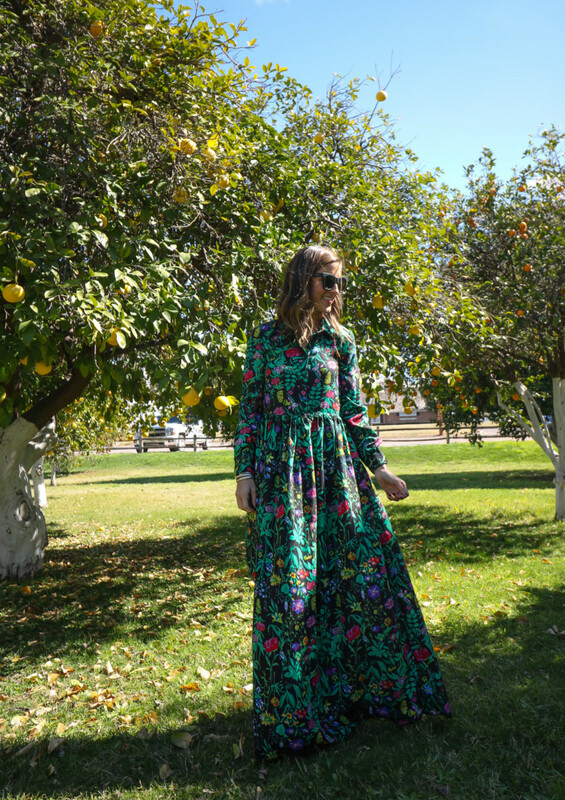 If you’re a fan of visiting vineyards, definitely put Queen Creek Olive Mill on your list – it has the same vibes as a lot of vineyards I’ve visited. Agritopia is its own town within a town. It’s a residential community surrounding 11 acres of urban farmland, where a tree-lined sidewalk leads you to chef-driven restaurants, a brewery, and a co-working shopping area where different local shops are located for visitors and locals to pop in and explore. I grabbed a coffee and a delicious cupcake from The Coffee Shop and then wandered around the shops. My favorite shop was Prickly Pear Paper. They had the cutest stationary, greeting cards, and home gifts. After shopping for a bit, our group popped in Garage East for wine tasting and dinner. The owner, who also lives in the Agritopia community, lead us through the tasting and dinner. The wine and food were both fantastic! I wrote an entire post on Schnepf Farms and my glamping experience while visiting Mesa. Even if you don’t experience glamping, I highly recommend stopping by their general store to pick up a few local baked goods and treats like their peach pie and local jams. Before visiting Mesa, I had no idea that Arizona is such a large producer of citrus! At The Orange Patch, you can tour the orange groves, see how the oranges are harvested, taste the oranges, and shop in the local store. I couldn’t help myself from tasting far too many orange slices while I was there! They were delicious! Check out the Arizona highlight on my Instagram page for a video recap of my time in Mesa! Thank you to Visit Mesa for hosting me!